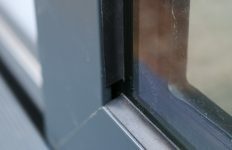 The history of composite residential doors and Distinction Doors Ltd follow a very similar path; that is because Drew Wright, who subsequently founded Distinction to take his ambitions forward, introduced the very first composite door to the UK, importing the first container of composite door panels in 1999. 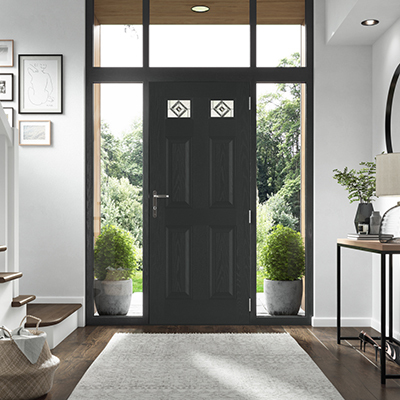 On the eve of the 20th anniversary of the first composite door being brought to Britain, Distinction Doors Ltd remains the market leader in the composite door sector with its products, which are now installed in more than 3 million homes in the UK, says Distinction. Social landlords were the first to appreciate the inherent benefits of excellent insulation, toughness and relatively low cost provided by composite doors, with such products now in broad demand by private homeowners with an estimated 1.5 million doorsets installed each year. And although growth overall is forecast most recently by Palmer to be modest at 0.9% (Palmer Market Research: The Market for Domestic Entrance Sets in Great Britain 2017) installed values are increasing by as much as 8% per annum. Standards have steadily improved in terms of product build quality and especially aesthetics across the board and sales growth remains positive. 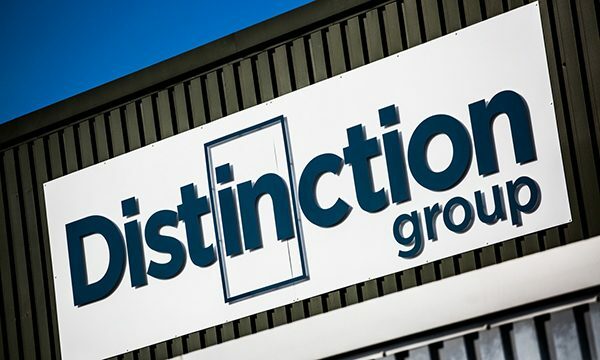 Distinction says it has responded to these market conditions to ensure the company remains sector leader, recently completing an £850,000 first phase of infrastructure investment. This is designed to further drive the company’s capacity to handle the extraordinary growth in demand for Distinction’s prepped door products, as well as logistics for door blanks sold in volume. 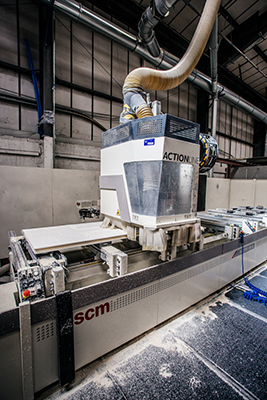 With prepped doors now accounting for 40% of Distinction’s sales most of the budget has been spent on saws, CNCs, edgebanders, painting and related equipment and ancillaries in anticipation of further growth in demand and to create a margin to contain surges. Quality control has been significantly improved through the introduction of the latest production technology, with a significant reduction in waste and therefore cost. Offcuts and other materials are are recycled where possible with other non-recyclable waste going to energy production. Production processes are managed using IT Systems installed by Business Micros. One of Distinction’s nxt-gen range of doors. 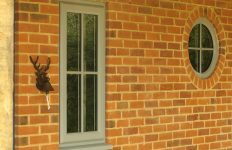 From Distinction Doors’ first year sales of £1.1 million in 2005, the company says its products now account for 25% of all entrance doors installed in British homes annually. And, according to Distinction Doors Managing Director Gareth Williams, the company’s recent investment should be seen as clear evidence of a commitment to growth, efficiency and innovation within the company, and to providing support for its customers in the short and longer term: “Despite the unknown pressures that Brexit will inevitably bring, we must look past this period and assume that British homeowners will, in the longer term, continue their enthusiasm for improving their homes and that private and public sector housebuilders and landlords will continue to invest in composite doors for their properties. “The difficulties of Brexit prevent any meaningful forecasts for growth in the short term but by investing in our infrastructure we are removing cost, improving quality and increasing both our capacity overall and ability to cope with fluctuating demand. 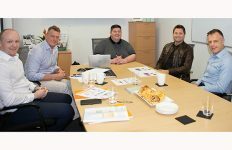 “Our relationship with our suppliers continues to be excellent and they are working closely with us to introduce some exciting new products as well as to continuously improve the quality of existing favourites.